Have you heard about Indiana’s governor Mike Pence? He’s put such restrictive abortion laws in place in Indiana that a group of Hoosier women have taken to calling his office regularly, to let him know how their reproductive systems are functioning. They figure, he’s so interested in what their bodies are doing, they should keep him posted. All the time. Among the restrictions in a recent law promoted and signed by Pence is the requirement that the “remains” from miscarriages be buried or burned. This could be tough, since women who miscarry early just experience what amounts to a heavy period; there are no discernible “remains” to bury. Sometimes the pregnancy ends before a woman is even sure she is pregnant, which begs the question, how will the government know? Well, I guess in Indiana, you can just call the governor’s office and ask him what he thinks. 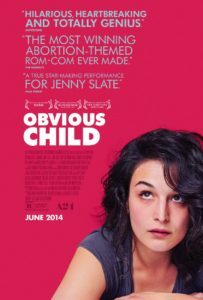 The Periods for Pence movement got me thinking about a lovely little film that came out a few years ago called Obvious Child. Jenny Slate, in a terrific performance, plays a struggling comedian named Donna who finds herself pregnant after a one-night stand. She chooses to get an abortion, but that’s not what the movie is about – instead, the question she struggles with is when, and how, or even if she will tell the young man she slept with that their evening together had an unplanned result. The two of them cross paths, and miss signals, and otherwise mess up opportunities to spend time together, all while she is carrying the responsibility of telling him she’s pregnant. It’s a bit like a romantic comedy, with a very topical twist. The beauty of this film is in the understated way it approaches the story. This isn’t about politics, there are no ideological screeds or protesters or horrified family members with strong ideological positions. On the contrary, it’s one woman’s story told entirely from her point of view – and that makes it unique among films in general, regardless of subject matter. Anyone who has ever been young and independent and female will feel a personal connection to this movie. 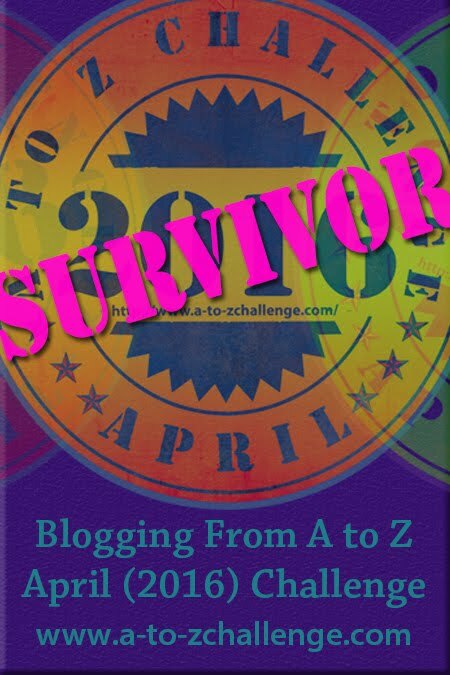 And the filmmaker – Gillian Robespierre – manages to find the humor in this emotionally charged situation, so we are laughing (frequently) with these young people while we are pulling for them to figure everything out. Obvious Child got a lot of attention on the Indie Film Festival circuit, with both the film and Jenny Slate receiving nominations and awards. Currently streaming on Amazon Prime.